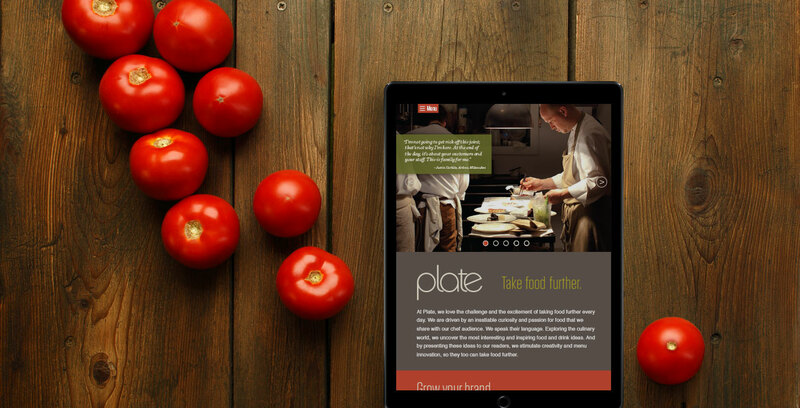 Plate, a national print and online magazine aimed at professional chefs and serious foodies, enlisted us to work on multiple projects that would build brand awareness and increase readership. 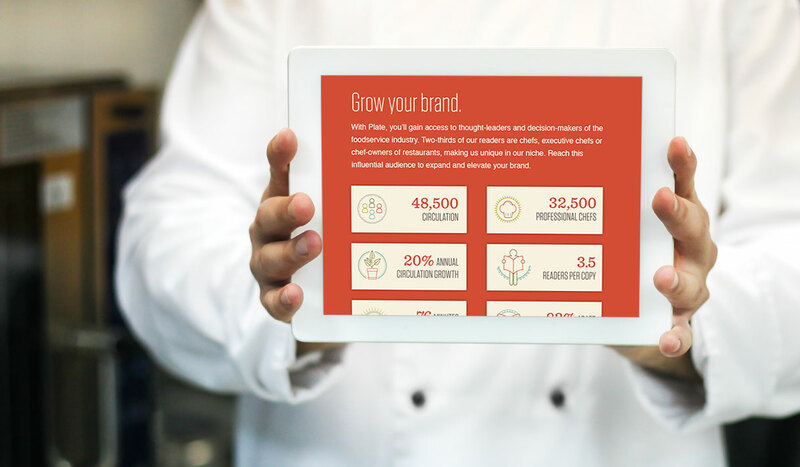 Through these initiatives, we tightened and extended their branding outside the magazine, giving it a cohesive feel through distinct color and type as well as stunning photography. 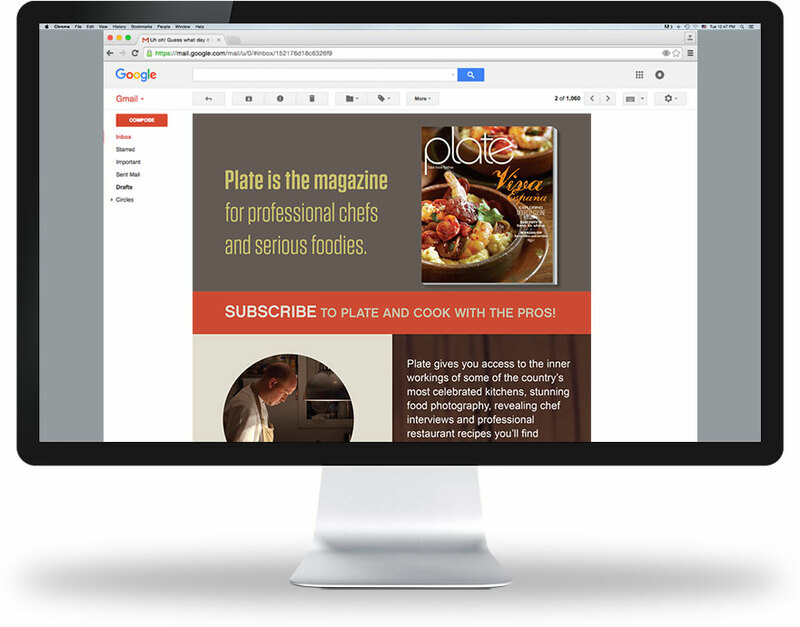 A new online media kit informed advertisers of sponsorship opportunities and enticed them to buy both print and digital ad space. Playful icons were designed to making statistical data easier to read and quicker to grasp. 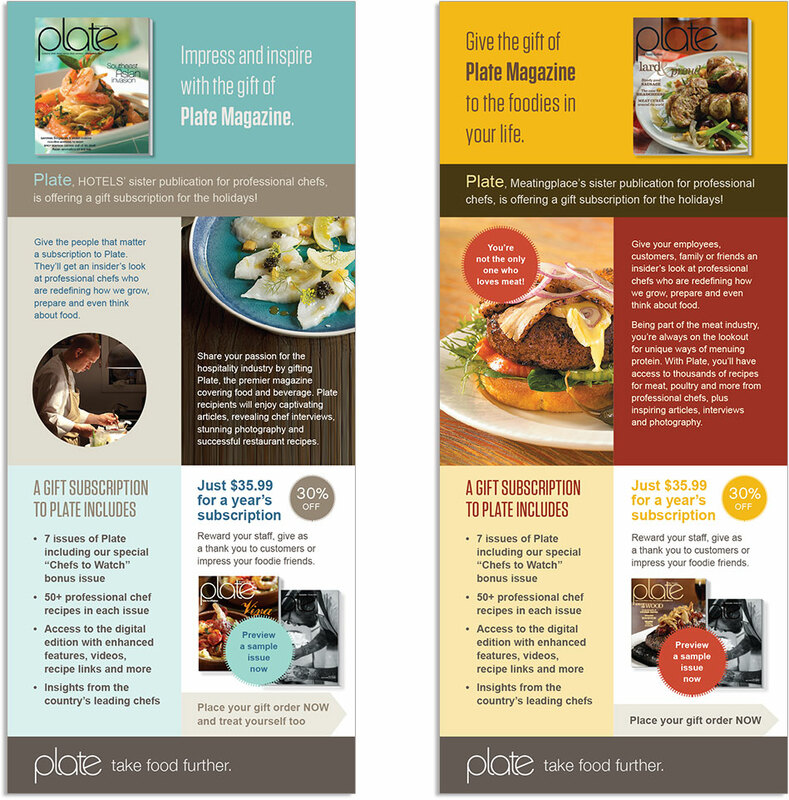 We also developed a campaign to drive up circulation using a trio of eblasts, sent to Plate subscribers, sister publications subscribers and new leads.